Don't you just love those days when you're out and about, running errands and buying the "in fashion skinny jeans and high tops" that your tween absolutely has to have....roll my eyes.....and then decide to just stumble into the nearest Barnes and Noble because it's two doors down and the books seem to be standing near the window with their fingers crooked beckoning you to come inside? Oh well, that's what happened today, I was in much need of some BL aka Book Lovin' and my wonderful husband who absolutely adores books too, was more than happy to oblige, so into the store we go and way too much money later, we walk out with big smiles on our faces and eager to run home to dive into the stories in the books. Have mercy! I have come to the realization that I'm absolutely smitten with anything related to Jane Austen, even if it comes in the form of Zombies, yes I said it, zombies. Now here's the thing, I have heard and read really good reviews on this book, apparently it's really funny and I'm all about fun, so I had to pick up. Plus, the best part, the hardcover which makes it look like an old book. I have a fascination with book covers, matter of fact that is usually what catches my eye, if the cover is good the story is bound to be too. I don't do boring covers, it has to be beautiful and appealing, but maybe I'm just nuts like that. 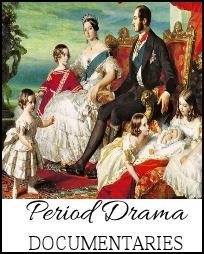 The cover just makes me smile and then once I've read the story I'll come back and tell you all about it ok? KitchenAid Best Loved Recipes - Yippee! You know how I just got my KitchenAid? Well I've been dying to use it more and this cookbook is going to help me do just that. I get absolutely giddy at the prospect of new books, and believe me, I needed the little pick me up, lately I've been thrown (a little too early for my liking) into the world of tweens and Fifth Graders and slang and weird words that I have no clue what they mean. IKR you know? See what I mean? I feel old, is there a Tween/Teen Vocabulary available for first time Teenage Parents? If so, could you point me in the direction because I honestly don't know how much more I can take, it's like talking to a child from another planet, you say one thing and they reply with something that leaves you scratching your head, all I can come up with in response is "ooooh burn". That's so 80's though! No wonder she thinks I'm not cool anymore! Anyway, I'm going to grab my books and start reading, btw, my two little kiddos just recently watched the new Veggie Tales that is hitting the stores this week, I will have a review up for you tomorrow, so be sure to check it out, Pistachio is so cute and I think all the Veggie Tales fans out there will love it. 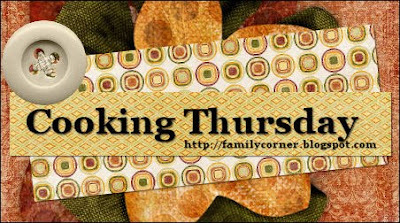 Note: Cooking Thursday is just below! Thank you all for entering and though I can't give everyone the tea, I do encourage you to try some of Spice Traders Tea if you can, they are delicious. I love having yummy snacks ready for my children when they get home from school, and yesterday I made these wonderful little Butterscotch Bites, they're tiny but packed full of flavor. 1. In a small bowl, mix the butter, brown sugar and cinnamon, then stir in the butterscotch chips. 2. Open up each tube of crescent dough, then cut each tube into 4 rectangles. Spread with butter mixture. Roll up each rectangle jelly-roll style, starting with a long side. 3. Cut each into six 1-in. slices; place cut side down into two greased 8-in. square baking dishes. I just used a cookie sheet, so mine are flatter rather than looking more like little cinnamon rolls. Bake at 375° for 14-16 minutes or until golden brown. 4. In a small bowl, combine the confectioners’ sugar, milk and vanilla until smooth. Drizzle over warm rolls. Yield: 4 dozen. For the past two days I've immersed myself back into crocheting, into beautiful colors and soft yarn. Into the rhythmic motion of hook and yarn while I watch a favorite show or read a good novel. It's relaxing and it's therapeutic for me, it takes away the craziness around me, the worries or the stress of life. I hadn't realized how much I had missed it until I made another granny square and sat back to admire the work. My little blanket is coming along nicely, obviously nowhere near ready and I'm sure I'll be making granny squares for quite a while longer, but I'm enjoying it and I am already thinking about my next project. Yesterday after getting the housework all done, I was able to sit on my couch, with my dear pugs laying next to me, and Little Dorrit on the TV. 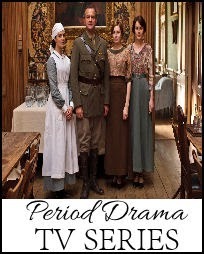 I watched the first 3 DVD's and absolutely loved it, have you ever watched the BBC Series? It's a very interesting story, so much so that Curt ended up watching some of it with me and enjoying it too. I can't wait for the last DVD to arrive tomorrow. OH and I also watched "Beyond Sherwood Forest" a movie about Robin Hood, another one of my favorite subjects. The day ended with me in the kitchen whipping up some dinner which consisted of Spaghetti a la Philly, go on over to the Food blog for the recipe. Spring Value Fiction Blog Tour! He fought to seek his fortune. Would he lose a greater treasure: the love he left behind? As the son of the squire of Grimston Way, aristocrat Rogan Chantry has fought hard to win his independence from Sir Julien Bley and the British South Africa Company. Now, his pursuit of a mysterious deposit of gold, marked on a map willed to him by his murdered uncle, Henry Chantry, is challenged by a new complication: the impending British colonization of South Africa. Can Sir Rogan find the gold in the midst of escalating tensions among the native tribesmen, the missionaries sent to win them, and the new colonists? Meanwhile, Evy Varley, the woman Rogan loves back in England, is headed for a brave yet dangerous confrontation with Henry’s killer–but at what price? With so much against Rogan and Evy, a reunion seems improbable, if not impossible. Can yesterday’s promise hold them faithful to the hope of future freedom and a victorious love? I absolutely loved this book, now it may also have to do with the fact that some of it takes place in South Africa, BUT, overall it was such a sweet historical novel. I think the writer did a wonderful job portraying the main characters of Evy Varley and Rowan Chantry and even though this is book two in the East of the Sun Series, I didn't feel like I was lost or had no idea who the characters were or what they were doing. It was easy to follow along and to enjoy. I would recommend this book to anyone and as a matter of fact, I'm going to look for the first book in the series, that is how much I enjoyed it. Aidan O’Connor was raised among pickpockets and prostitutes in a Dutch colony on Java, Indonesia. But when a world-famous cartographer discovers her natural artistic talent, she is given a chance to leave her troubled life behind. Disguised as a boy, Aidan joins her benefactor at sea and begins the work of drawing the flora and fauna of the new world. This fresh beginning leads her into adventure--and to a great love. But can this love survive the force of Aidan’s past…and her ambitions for her future? This is the second book in the Heirs of Cahira O'Connor trilogy and unfortunately I haven't had a chance to finish it, but I've been enjoying it too. It's my first time reading anything by Angela Elwell Hunt but it certainly won't be my last. It's been raining this weekend, I really don't ever remember it raining this much in Arizona. 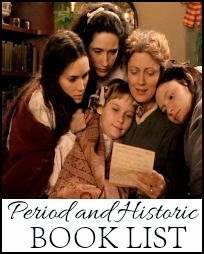 Confessions of a Jane Austen Addict - Just started but it's SO funny, I'm loving it. I'm back to making granny squares for my blanket, but I'm changing the pattern and following Lucy's directions. I'll show you what they look like tomorrow. Spring, seeing the green grass, the sprinklers going, the flowers blooming. To keep the fridge smelling fresh and odour-free, this kitchen cleaning tip comes in handy, what you need to do is get a piece of cotton wool and put droplets of vanilla essence onto it, and place it in the middle of the fridge, this will stop the odours in their tracks. 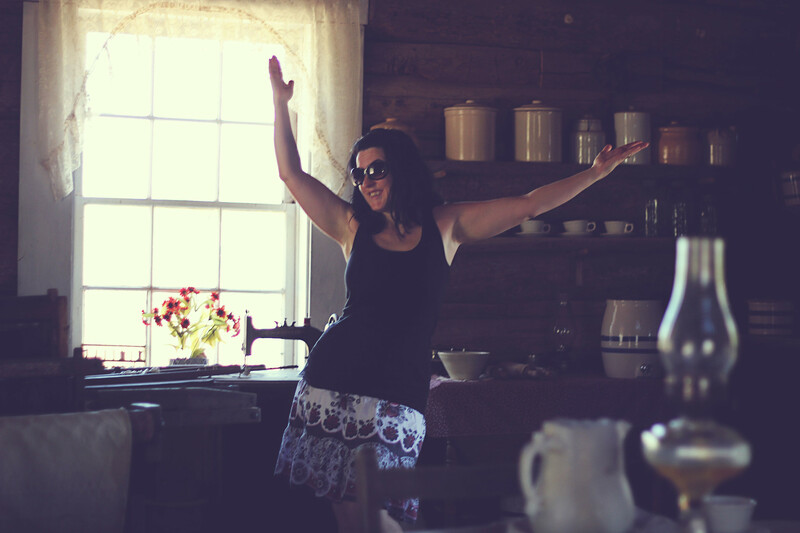 Spring-Like Weather from Throwback at Trapper Creek, I just love the pictures in this post. To appreciate what I have and to thank the Lord for all the blessings in my life. It's easy to forget about this simple thing in the daily craziness around us, but it takes but a few seconds and truly makes a difference. I was sitting here with my coffee cup doing what I do every morning, reading the news, browsing blogs etc, when an article from the NY Daily News caught my attention. Mind you, it's not new, it's from November of 2009, but it still made me stop in my tracks. It reads "Military Marriage divorce rate increases in 2009". "Every marriage has controllable and uncontrollable factors," Davis said. "But when you interject eight years of war, preparing for war, being at war, coming home and having to think about going back to war again — and when you have children — it just has a tremendous impact on the family unit." I'm a military wife, it's a known fact that divorce among military families is high, it's not a secret, it's not a shock, it just is, unfortunately. But reading this article made me stop and think about my own marriage and the struggles and hurdles we've faced along the years. We have been married for 11 years, going on 12 in August and I can tell you that it hasn't been easy. To say that I had no idea what I was getting into when we first exchanged vows, would be an understatement, sure my husband told me about the deployments and the long hours and the commitment to the military, they come first, always. But it's one thing to hear these things and quite another to actually live it. We had our ups and downs and I'm going to be completely open here and maybe even shock some of my family members with the truth that we did come very close to a divorce. A marriage is comprised of two people, two human beings trying their hardest to support each other, to learn to co-exist with habits and quirky little mundane things that at first seem nothing but left to fester, can turn into huge unsurpassable mountains. 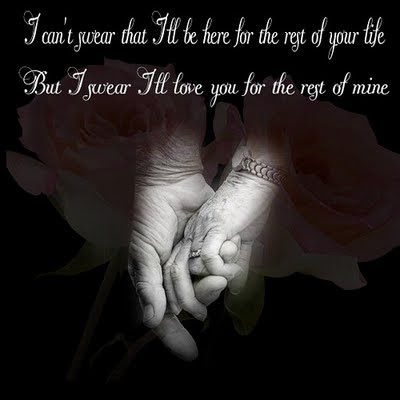 There is a huge strain that goes into a military marriage, I can tell you that to this day, I sometimes feel like I'm a single mother with no help whatsoever, and I'm not blaming my husband, I blame the circumstances around us and the life that we lead, because as rewarding as it is and as much as I feel that we as a family unit are contributing to something worthwhile, I also feel that the same family unit is neglected by the Military. Often times in the heat of an argument I have told my husband that he needs to realize and remember that when the military life is gone, it is US, our family that will remain. That when something goes wrong in life, that when a family member passes or an illness takes us by surprise, it's not the military that steps in and comforts him, it's me, it's his children, it's the same people who are so often forgotten and taken for granted. We went through some very rough patches, mostly around the first 3 years of marriage, it was a push and pull, a constant fight for control. In a way it was as if I was rebelling against the military life, I hated it, I wanted it to end, I wanted to be heard and I wanted to feel like I mattered. I wanted the military to say something, to reach out and comfort me, to for once put aside their need for the jets to be fixed on a weekend when they're not even flying, to stop taking my husband away from me and the kids, to stop canceling our plans, to stop interfering with vacations, to stop calling when he's on leave because they can't seem to find this or fix that. I was at the breaking point, I was dealing with all these stresses, I was going through two miscarriages and I was sitting at home, broken, alone, depressed and heart broken, without a driver's licence, depending on other military wives for rides to the commissary to get groceries for me and my two year old. I blamed him, I blamed the military, I blamed myself "how could I have been so stupid, what was I thinking moving thousands of miles away from my family, from my support system to come to a new country where I would be alone for months on end?". It was rough and I took it out on him and he took it out on me, and I don't need to divulge all the intimate details of our life, but we came to a point where we both said "enough, we need to stop this and go our separate ways". It came to a halt when I actually removed my wedding rings and threw it across the room at him. Yes, I did, I admit it and I'm not proud of it, but I think everyone can relate to that one point in time where you just explode and can't take it anymore. But that was also the turning point. I realized that I needed to stop trying to change him, I had no idea the toll that my harsh words and actions were taking on him. From my perspective I was the only one in pain, I was the only one suffering and upset at the lack of family time and alone time, I didn't even stop to think that maybe, just maybe he was feeling the same if not more than I. It's so easy to break the trust, to fall into someone else's arms when your husband is deployed. You miss him, you miss the closeness, you miss having someone around and if you're not careful and not strong in your marriage, if you see someone else that is willing to give you that emotional and physical comfort, it's easy to take it. Thankfully neither Curt nor I have ever done that, yes separations are excruciating but we hold on to the love we have for one another and count down the days until we are safe in each others arms. It's been a long journey but we both sat down and expressed our feelings and emotions, it wasn't pretty, I heard a lot of things I didn't want to hear, me, the perfect little housewife was not exactly that perfect, I had my flaws and when I heard from his perspective what I was doing to him by means of words, it sunk in that I was playing a huge part in the decimation of our marriage. We've both learned to not take each other for granted, we work hard at our marriage and we've also given up the control to God. We've stumbled across the way, we had to learn to forgive, we had to learn to restore the trust that was close to breaking permanently, but mostly, we had to learn to be open, to communicate and to realize that just because we may not like something that is happening around us, we do not have the right to take it out on each other. We hit rock bottom, but we stood back up, brushed ourselves off and vowed to recommit to our family, to each other. We don't have a perfect marriage, but for the past 7 years we've come to a place of understanding, of loving, of knowing that no matter what the military may throw our way, or what life may drop at our feet, we are strong, we love each other and we can get through anything. I'm blessed, I'm extremely blessed to have such a wonderful man for a husband. A man that walks in through the door at 2am or 3am, drops his keys and walks into our bedroom, to kiss me, to tell me he's home, to tell me he loves me.....jet fuel laced hands and all. A man who then quietly walks into his childrens rooms and plants a kiss on their sweet sleeping faces. A man who not only has to deal with all the worries and frustrations that I as a military wife do, but double that because he's a soldier, he knows what his duty is, he knows what he sacrifices daily and he doesn't like being taken from his family to a place of war thousands of miles away. We may think we have it hard at home, but just stop for a second and think about them and the struggles they face daily, they are men, they want to be home, they want to be taking care of their family and be there to fix things and they can't. It's not easy! So in closing this post, I just want to tell you all out there, military families or not, that when things seem to be at a breaking point and when there seems to be no way out, breathe. Stop.....calm down.....think! If you love each other, keep God in your relationship and life and never give up, it will get better. I'm sending out hugs and prayers to you all, to any military wife AND husband that may be feeling that there's no way out but divorce, to any wife and husband PERIOD, who feel stuck in a hard place, who feel they can't go on. I'm praying for you! Well, living life, all of it, the smiles and laughs and cries and worries and chaos that comes with being a married woman and a mother. No matter how much I want to devote myself to posting on the blog regularly, I have come to realize that it's not up to me, it's up to my personal life and what is going on and some weeks, it's just not going to happen. then mosey over to the kitchen and do the same. I love these curtains they make me smile and they remind me of sun and grass and blue skies. I've taken great pleasure in turning on the sprinklers again and watching my yellow dried out grass starting to turn green again. I've done a lot of baking and cooking and freezing because once the weather starts warming up, I don't want to be stuck in the kitchen for hours. Breakfast sandwiches, Sausage, Egg and Cheese on English Muffins. My family loves them and they are super easy to make. In between this there has the been the usual daily conquering of Mt. Laundry and the swimming through a sea of toys in the living room. Oh and the tackling of homework which makes me feel like the dumbest mom in the world. Seriously? What is with this stuff lately? They are teaching my first grader 3rd grade work, they are teaching my 5th grader high school subjects. I happen to believe that they are pushing kids too hard nowadays. Maybe it's just me, but that's what I feel. But it hasn't just been go go go go go all the time. Nights are my favorite time of the day, when the kids have had their baths and said their prayers and are tucked safely into bed, when I can sit down and watch a favorite show or a movie or read a book. I've gotten so many great books lately, everytime I open the mail box there is one waiting for me and I don't know about you but it's like winning the lottery lately, that's how happy books make me. I've watched good movies, like 2012, Love Happens, Everybody's Fine, New in Town and The Christmas Card. I recommed all of these if you haven't watched them yet. So there you go, now you know where I've been and what I've been up to, so I'm going to leave you as I need to turn off the sprinkler and refill the bird feeder. But before I leave, I'm going to do something as a thank you to all my faithful readers who continually visit me, even when I'm not the gracious host I am supposed to be and leave you hanging for days on end. I want you to go to Spice Trader Teas and take a look at their tea mixes then come back here and let me know which tea you would love to try. I'm going to hold a giveaway until Wednesday the 24th of February, then I'll randomly select a winner through Random.org and send you the tea you selected. Just as a thank you! The contest is open to US residents only! Go on, scoot, go pick your tea and then come back and let me know, oh and I can tell you that their Assam and the Cinnamon Apricot is to die for. I've been doing the Slow Cooking Thursday for so long now, years actually, and it's had a good run but I've noticed lately that everyone seems to be running out of crockpot recipes to share and I don't want to completely do away with the feature, so I thought it time to change it up a bit. 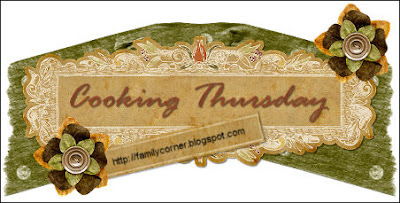 Cooking Thursday will now replace our weekly crockpot feature to include not only those recipes but also any kind you may wish to share......breakfast, main dishes, desserts etc. 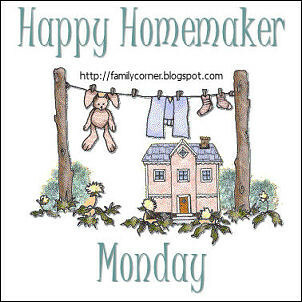 So won't you join me and share with us one of your new recipes, or an old family favorite, you can even throw in a recipe for homemade soaps or detergents (just remember to specify). In a large skillet, add a little bit of olive oil and the garlic. Cook until the garlic starts crackling, add the chicken thighs and cook for a few minutes on each side until brown. Add the sliced carrots and chourico, cook for another 5 or so minutes. Add the tomato paste, salt and pepper to taste and the beef stock. I just eyeball it, you need enough liquid in there to make a good amount of gravy and to cook the rice in. (I made 1 and a half cups of rice, so I added about 3 cups of beef stock). Cover and simmer for 30 minutes, keep checking the skillet to make sure you don't run out of liquid. Remove the chicken to a separate dish, then take out the bones and cut it into big chunks. Add the rice and the peas and cook until the rice is done, add the chicken to the skillet, mix well and then pour everything into a pyrex dish. Pop in the oven for about 20 to 25 minutes. Enjoy! Be forewarned, this post is chock full of photographs, but I think you won't mind, I mean, who doesn't like the Renaissance Fair???? But for those who do mind, you can still see all the great photos I took on my Flickr account. Going back in time, walking the streets of long ago, indulging in the smells (thankfully the good ones and not the real ones from back then), the sights and the action of the Middle Ages from 1450 to 1600. The Ren. Festival is fun and for someone like me who loves Photography, it gives me an abundant array of objects to photograph. If you purchase tickets from a local Fry’s Supermarket, the cost is $18.00 for adults, $8.00 for kids 5-12 (kids under five are free). If you buy the tickets on-line, it’s $19.00 for adults, $9.00 for kids. And if you buy tickets at the gate, it’s $20.00 for adults, $10.00 for kids, $17.00 for seniors. Imagine if you will, stepping back in time? You can outfit yourself in full Renaissance garb from one of the many vendors throughout the festival. Whether you prefer to be a pirate........aaarrrrrr matey! Or a fairy or a viking, a wench or a princess, whatever you want, they have. There are twelve different stages with numerous entertainment acts throughout the day, from Pirate Shantyman and Bonnie Lass to the amazing Medieval Baebes who have traveled all the way from England to perform at various Renaissance Festivals. They are unbelievable, not only gorgeous in appearance but with stunning voices too, and if you go to their website you can hear a sample of their music. Oh if only I had the money to buy one of these, I don't know where I would wear it though, not sure I could pull this look off while shopping for groceries at the base commissary or driving kids to school......but......it's a dream, maybe one day I'll have the means to purchase one and I'll buy it and keep on display. Instrument vendor, we stopped and bought the kids some whistles. They're not as easy as you think to play but I love the sound once you do get it right. Pirate Shantyman. We saw his act two years ago when we first went to the Arizona Ren. Fair and we loved it, unfortunately this time around we ended up not getting to any of the shows. Now onto one of my favorite areas in the fair, the village. I love seeing them all go about their day, preparing meals and doing their crafts. As a family, one of our MUST SEE and CAN'T BE MISSED events is the Jousting, namely the Joust to the Death. Above you see Sir Alexander, he was the Champion and the crowd favorite. This was our Knight above, Sir Ageron. The Royal Procession before the Jousting. One thing about the Renaissance Fair, if you're hungry there is so much food to eat. A little on the pricey side but good nonetheless, from Shrimp and Fries to Steak on a Stick to our favorite, Smoked Turkey legs which are as big as....well....your legs. 9 foot tall woman. She's a tiny little thing but very sweet. The London Broil entertainment act are so funny, be sure to watch them if you make it to the fair. My kids were fascinated with the Greyhounds, they are such beautiful dogs, so tame and lovable. Be sure to visit the Royal Stables where you'll be able to see the Knight's horses and the Jousters. Jasmine's favorite part of the day was when she got to meet and pose for a picture with Twig the Fairy, she even got a special glittery stone from her. If your daughters love fairies, you just have to stop by and say hi, Twig is such a beautiful fairy. It was a wonderful day, the sun was shining, it was almost 80 degrees and the perfect way to spend the day with the family. You can't leave the Ren. Fair without buying a few items here and there, for me personally, I have to indulge in girly things that make me ooooohhhh and ahhhhhh. I bought 3 handmade candles, 1 lavender of course and 2 Moon Shadow and oh my, I had never smelled that scent before but it's wonderful. STOP right where you're at and go online to Spice Traders Teas, you have got to check out their tea selections, for a 2 oz. tin can you pay $7 but it will last me a while, I don't drink tea every single day, although that may change now that I have these two delicious blends at hand. Assam Blend is SO good, it's a darker tea which I love and it was recommended by the Tea Vendor when I asked him for a good English Tea. The Cinnamon Apricot blend is YUMMY. Jasmine actually picked this one and she already had a cup of tea and loved it, this is her favorite, it's a very mild tea, great for kids. Cinnamon chips, diced apricot pieces, marigold petals, apricot essence and black tea. I also bought a little mesh ball for my tea leaves which works great in the cup and stops all the little pieces from floating around while letting the goodness seep through. Very inexpensive and definitely a must have if you love drinking tea. And finally, I had to pick up this years Arizona Renaissance Fair memento. I picked the Queen's Goblet and it now sits next to the mug I got in 2008. Alright, alright, I think I've bugged you enough and probably talked your ears off, I'll let you go now, hopefully to plan a trip to the fair next weekend, if you live in Arizona and close enough to Apache Junction OR maybe search for one in your State.....OR.....you could just grab a turkey leg, sit on the computer, go to my online album and look through the photos and pretend you're there? 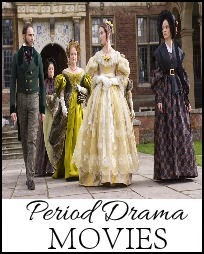 Do you like Period Dramas? Winner of Angels book giveaway!